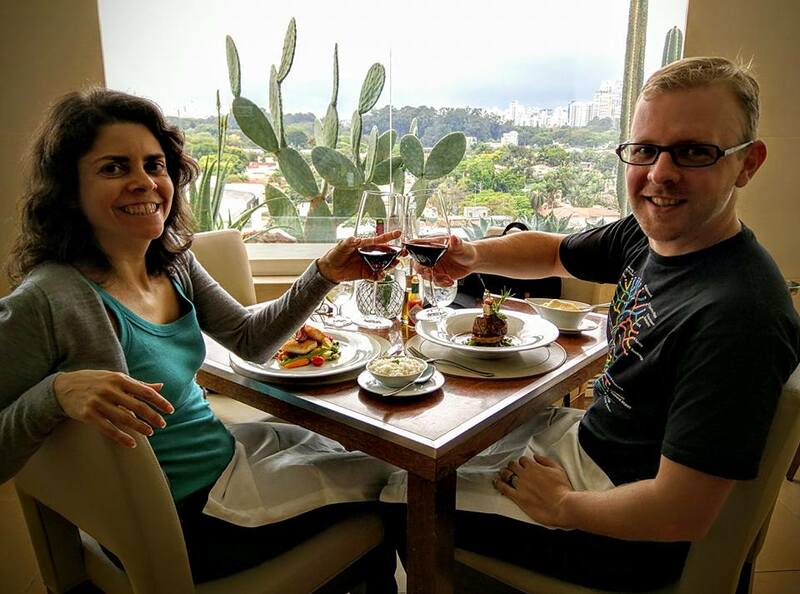 My wife Luciana and I enjoying a decadent meal at Skye Bar & Restaurant, at Hotel Unique, in São Paulo. The view was gorgeous. If you’re traveling to Brazil to live in the lap of luxury, whether for business or pleasure, here are some tips for you to optimize your experience and avoid awkward situations. This year, I traveled to Brazil to visit my wife, who was staying there for an extended period. She set us up for a weekend in a rather luxurious resort in a lovely beach town called Pipa, in the state of Rio Grande do Norte. We also enjoyed some rather fancy meals and experiences in Recife and São Paulo, thanks to the current exchange rate. We visited great restaurants and enjoyed some awesome experiences–we were living the high life. However, a few things were slightly different than what one might expect in the U.S. They were not better or worse, but rather certain things were just done differently and there were different expectations that could have tripped up a first-time visitor (or even a veteran <cough>). So I decided to write a few tips here to help you, the lucky traveler, to avoid any surprises or awkward situations. I’ve gotten a few massages in the US, and generally the therapist will prefer that you disrobe completely while they wait outside the room, and then cover yourself with a towel after you lie on the bed. In Brazil, the experience might be different. In my case, I was first asked if I had boxers on. I was told it would be better to keep them on and asked to disrobe. I stood waiting for the massage therapist to leave the room for a while. We stared at each other until she asked me why I was not yet disrobing. It was an awkward moment to say the least, but the massage was good. A similar experience was had by my wife who was in another room with a different massage therapist. Your experience may be different, but don’t be surprised if your massage therapist does not leave the room! 2. At a restaurant, that bread or other small bites they bring to the table when you arrive is likely not free! Picture this: you have just been seated at a fancy restaurant, and as you pick up the menu, a server arrives with a nice tray of bread and paté, or some tasty deep fried macaxeira. You think to yourself: “Great! The bread has arrived,” or “the chef is offering me a sample, what great service!”. You gladly accept the dish and devour it while you are waiting for your drinks to come. Later that evening, you get the bill and to your surprise the small plate you thought was given to you is on the bill! This is not the restaurant being dishonest or pushing food—it is completely normal and expected in Brazil. Throughout your meal, servers will bring to your table appetizing small plates in the style of a rodízio and announce what they are. Patrons know that these are not free, but are often rather tempted. You’ll even find these being passed around when you are at the bar grabbing a drink. Though they will end up on your bill, they are a great way to sample some Brazilian treats that you might not have tried if it were left to you to order full plates of them from the menu, so dig in! All formalities aside, let’s talk about poop. No matter the place; from your friend’s house, to the AirBnB you are staying at, to the restaurant W.C., to the 5-star resort you are enjoying; you will likely be required not to flush toilet paper. This may seem like a foreign concept to most Americans and Western Europeans–in fact you’ll probably find yourself having to lose some muscle memory while finishing up on the throne. However, it is completely normal and expected in Brazil. Brazilian toilets and plumbing generally aren’t designed to handle paper. 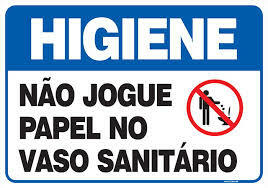 In most places, a small, covered trash can resides next to the toilet where you will have to put your soiled tissue. Put it in there, “face down”, and you won’t encounter any embarrassing scenarios where someone has to come and help you unclog the toilet and explain the above. Just make sure you are putting it in the bin for tissues, and not the basket for used hand towels, which you’ll also find at some fancier joints. So there you have it. Your Brazilian trip is likely going to contain some memorable experiences. After reading this, most of them will hopefully be memorable for the right reasons. Boa viagem! 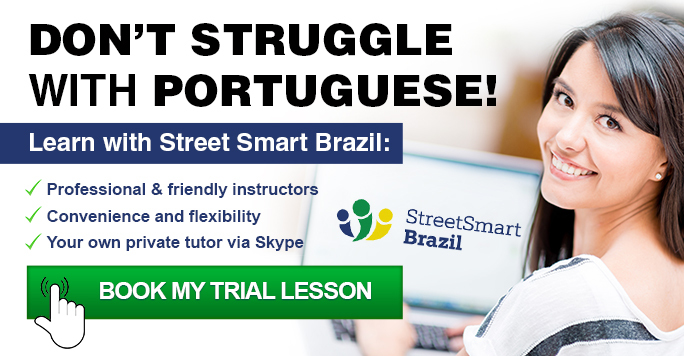 If you want to practice Portuguese before you land in Brazil, Street Smart Brazil offers lessons through Skype. You can start with a 30-minute trial lesson to see how effective these lessons are. Very useful ! Thanks for sharing ! Obrigada pelo comentário! Glad to know the article was useful.